If you have followed the latest Mobile Premier Awards edition in Barcelona last week, you may have noticed that African developers were well represented. Not only did three African apps become global finalists, but one of them, Mafuta Go!, even won the organizers’ award. Don’t be surprised to hear even more about African apps in the near future; a new initiative is now offering attractive incentives to local tech entrepreneurs. Called Kipokezi Apps Challenge and nicknamed ‘KipApps’, this competition will give Kenyan developers a chance to see their apps distributed to millions of mobile phone users in the country. After an initial development period, the best app ideas will be shortlisted and developers will attend a weekend training session and hackathon in April. They will then present their idea to a panel of judges, who will choose the winning application and the best two finalists. While winners also compete for seed capital, mentoring and a free iPad, the chance for their app to be widely distributed may be even more appealing. This is the result of a partnership between the Kenyan telco Safaricom, the SaaS company ForgetMeNot Africa and the co-working space and tech community iHub (see our interview with iHub’s founder). It is not the first partnership between Safaricom and ForgetMeNot Africa; since 2010, Safaricom’s 15 million subscribers have access to FMN’s mobile technology through the telco’s Kipozeki service. In practical terms, it means that these users are now able to use services such as Facebook, email and instant chat, even if they don’t have a smartphone or a data plan. Kip Apps challenge will adopt the same approach, encouraging developers to create mobile apps that are relevant to the local population. To do so, they will get access to FMN’s Optimiser Platform, which uses two-way SMS and USSD to support a series of advanced services on feature phones. As you can imagine, this technology greatly contributes to democratizing technology. 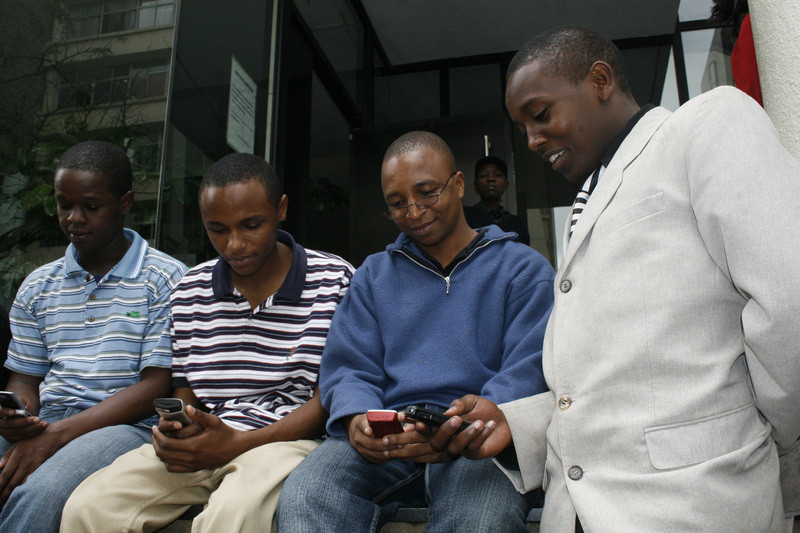 Prior to the launch of Kipokezi only one in ten Kenyans had ever accessed the Internet, Safaricom says. It is also worth noting that Kenya is only one of the five African countries where FMN operates; the partnerships it closed with local carriers means that it has a 47.5 million potential users. According to its COO Jeremy George, ForgetMeNot Africa currently has 1 million registered subscribers across the continent. While the service focuses on usability, it also supports a wide range of uses, from sending an email to Facebook chat via SMS. Yet, you may be wondering if the service has a future; after all, isn’t SMS dying? George is adamant that it is not. Even if smartphones will eventually make their way to Africa, their adoption will be slow, he predicts. As a matter of fact, battery life remains a problem in a region where electricity access is still an issue and data connection can be expensive. This is the segment FMN is targeting: low-income users concerned about their bill. Thanks to agreements with carriers, text messages sent via the service can cost up to 4 times less than a standard SMS. These limitations are certainly a challenge, but also gave birth to innovative apps created in Africa with African users in mind. One of them is the SMS-based mobile money service M-Pesa, which our contributor Francis Pisani recently covered as part of its Winch5 project to find innovation and change across the world. There’s no doubt that mobile technology can have a positive impact on a continent where cell phones are already transforming lives (see our story on Mobile Trends Africa 2020). However, George is convinced that several other African services deserve as much attention as M-Pesa. For instance, #Buzz is a new RSS-to-SMS app launched by FMN, while iCow, not affiliated to the company, lets farmers manage their herds (see our previous post). While Kenya is the first country in which this competition is taking place, it is only a start. According to George, the challenge may soon expand to other African countries where ForgetMeNot operates, starting with Zimbabwe. Liked this? Make sure to check out our dedicated channel, TNW Africa.